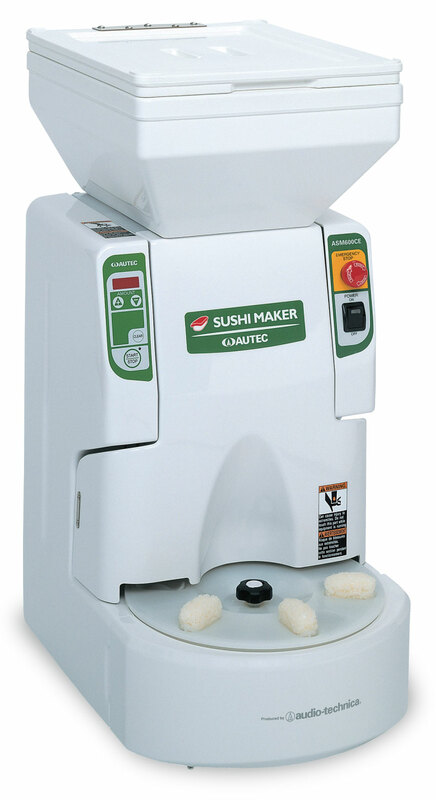 Optimal for sushi production. 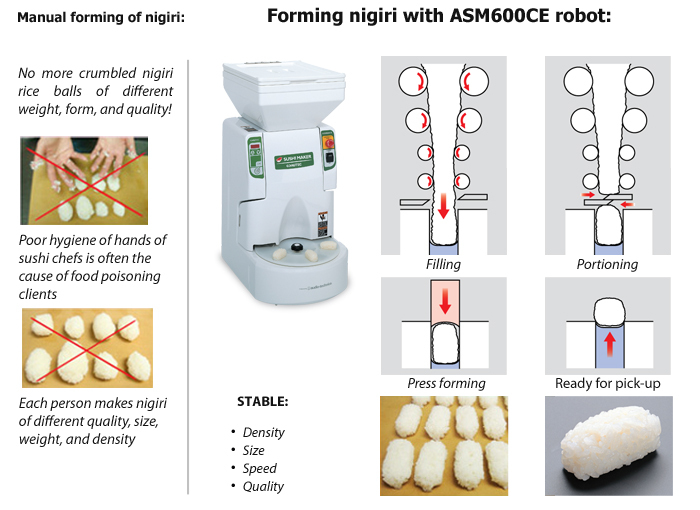 The fastest nigiri robot — enormous production capacity. 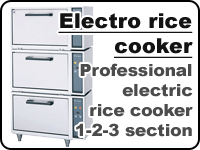 Excellent quality and form of ready-made sushi, rice is not damaged while forming. All standard sizes of nigiri are available. 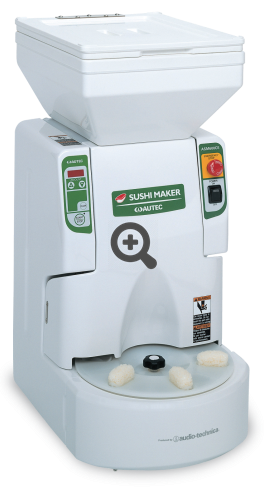 Upon request, we can deliver ASM600W modification with the built-in wasabi dispenser. 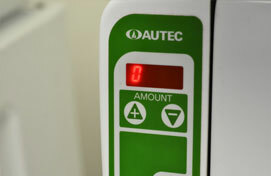 Production capacity – up to 3300 pieces per hour. Consistent production of rice balls of identical weight, form, and softness. 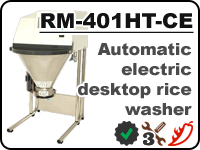 The built-in heating and special coating of hopper keeps rice at the optimal temperature range for a long time. 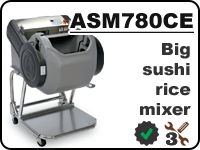 Nigiri are accurately placed on a rotating turntable to increase speed and efficiency of production process. 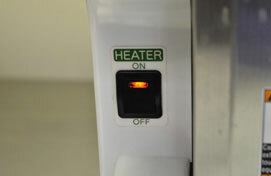 Heating system keeps the optimal temperature for forming of rice. 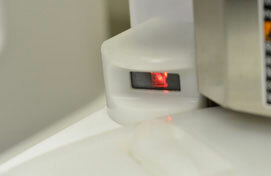 The sensor automatically identifies whether rotating turntable is filled with rice balls. 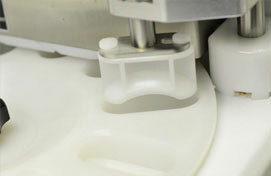 Top Mold — innovative forming system for correct structure of rice balls.